This is an article from the Barnet Times from June 4th 1987. The top picture shows a team from the Potters Bar Cricket Club (who all seemed to come from the Raisborough family). 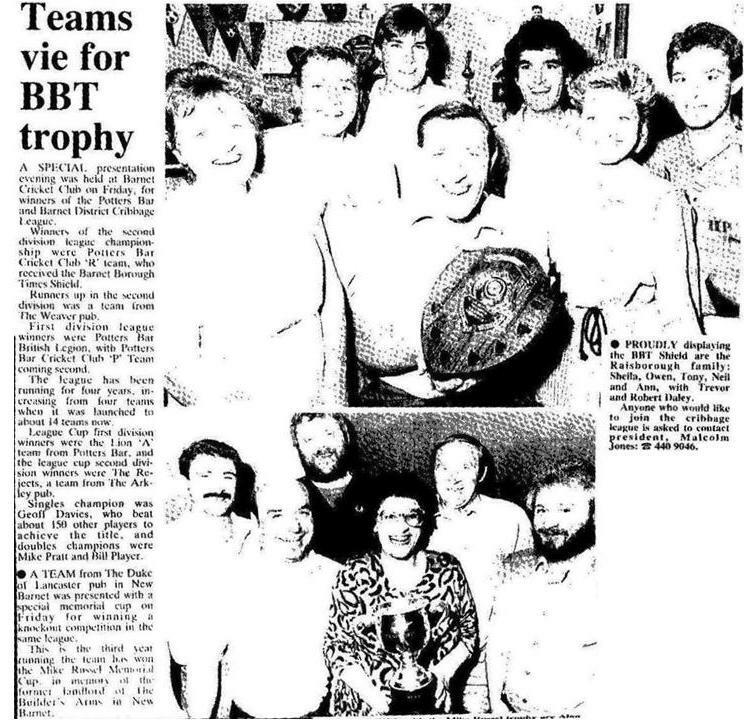 The bottom picture shows the team from the Duke of Lancaster pub in Barnet who had won the Mike Russle cup for the third year running - Alan Seager, Pete Sauka, Terry Sandford, Sandra Beavis, Mick Smith and Pete Beavis.